Pat Langan, the son of Mathias Langan and Penelope Byrne was baptized on March 15, 1866. The civil registration of his birth lists his birth as occurring on May 5, 1866, Creagh Road, Ballinrobe. Note: Baptisms before births are a common Irish occurrence. The Irish had their children baptized almost immediately but reported the birth to the authorities when they got around to it. I have not been able to find any immigration information on Pat Langan. On the 1910 census he listed his immigration date as 1881. In 1930 he listed it as 1880. Patrick Langan was married in 1887 in Springfield, Massachusetts. See below. He did list himself as naturalized in the 1910, 1915 and 1940 censuses, but not naturalized in the 1930 census. In the 1925 census he gave his naturalization in 1888 in Brooklyn. Langan, Patrick County Court Kings, October 10, 1888, vol 176 record # 240 no occupation, no date of birth, no port or date of arrival, renounced the Queen of the United Kingdom, of Great Britain and Ireland, witness Michael Byrne*. Signature of Patrick Langan on Naturalization papers. Byrne was the maiden name of Patrick's mother, Nappy. Pat Langan, labourer, was listed in the 1894/95 NYC directory at 423 E. 19th Street. Pat Langan, labourer, was listed in the 1895/96 NYC directory at 429 E. 19th Street. Not listed in the 1890/1, 1892/3 or 1893/4 directories. Listed at "427" E 19th street at the birth of Katie Langan in 1895 and Penelope in 1897. Listed at 445 E 52 in 1899 at the birth of Patrick. 1916: Patk J. Langan, carp, r 208 E 44th street. Edward Langan was born at this address in 1901. Baby Boy Langan was born at the address in 1906. the family was at this address in the 1910 census. Catherine Hogan Langan died at this address in 1912., Frank Langan was at this address in 1917 when he registered for the draft. Parents of Kate Hogan: Her marriage and death records both list, father, Patrick, mother, Ellen. Her death lists her mother as Ellen Hackett. North Adams, Massachusetts. According to her marriage records she was "Catherine". There are several Hogans in Adams Mass. in the 1870 and 1880 censuses but I did not find Kate, Patrick and Ellen. Note: She was generally listed as Kate, but there are a sprinkling of records under "Catherine" and "Katherine". Birth: According to his marriage license, Matthias Langan was born in Brooklyn circa 1887, the son of Pat Langan and Kate Hogan. Civil Record: I could not find any birth records at the NYC Archives (Manhattan or Brooklyn) for Mathias Langan. Baptism: I did not find a baptismal record for Matthias Langan. 1910: With his parents - Matty Langan - lather building. See below. Marriage 1915: Mathias Langan married Frances Jaeger on November 15, 1915 in the Municipal Building in NYC (1915 Manhattan certificate #27896). Mathias Langan, address, 1539 Avenue A, age 28, white, single, occupation, Lather, birthplace, Brooklyn, father, Pat Langan, mother, Kate Hogan. Frances Jaeger, address, 1539 Avenue A, age 21, white, single, born in NYC, father, Jacob Jaeger, mother, Minnie Siebert. I did not find Frances in the 1930 census. Birth: John Thomas Langan was born in NYC circa 1891. Civil Record: I did not find his birth certificate. Church Record: I did not find his baptismal record. Note: This ailment could have been the result of an infection, such as "strep" throat. Civil Record: There is a Sept 12, 1892 Manhattan birth certificate for a Frank Langan but it is not him. Church Record: Francis E. Langan, the son of Patrick Langan and Catherine Hogan, was born on October "9", 1892 and baptized on October 22, 1892. The sponsors were John Heffernan and Margaret Langan. This information was provided by Epiphany Church in reply to my request for information on Langan baptisms. Note: Pat Langan's sister, Maggie, was married to Joseph Walsh. Joseph Walsh's brother, Thomas, was married to Margaret Hefferine. Birth: October 1, 1914 per death record. "Walter Francis Langan per original and copy (1943) reflects DOB 10/1/1914, Baptised 10/21/1914 at St. Jean Bapiste Church; parents Frank Langan & Lillian Zimmerman. The certificate of Birth I have reflects DOB 10/1/1914, filed 10/10/1914 per Dept. of Health 8/20/1943." US Veterans Cemetery: Walter Frank Langan, 2040 Wellwood Avenue Farmingdale NY 11735, born October 1, 1914, Died July 25, 1969, Service US Navy, April 9, 1943 to July 20, 1943, Long Island National Cemetery. Leroy Rapp died August 14, 1969 in Eastport Maine. A survivor was Mrs. Walter (Ruth) Langan of Smithtown. Also a son Leroy Jr of Los Angles and three grandchildren. Funeral services in the Bronx. Burial in Chicago. L----- Hospital Bronx, Patricia Langan 5 1/2 months born USA father Frank Langan, Mother Lily Zimmerman, 872 Matt Ave, Tubercular meningitis, buried Calvary died Sept 1, 1924 buried Sept 7, 1924. Child Craven, Frank John, born September 19, 1955 New York, actor, playwright, poet Son of John and Dorothy (Langan) Craven. Married Fedora di Eugenio, June 12, 1991. Birth: Roger Donald Langan was born, Dec 2 1926. His father was Francis (Frank) Langan and mother was Lillian Langan (Zimmerman), per Keri Green, March 2009. Death: August 10, 2006, per Keri Green, March 2009. Roger D. Langan of Massapequa on August 10, 2006. Retired FDNY Ladder 127 Jamaica Queens and Local #46 Metal Lather NYC. Beloved husband of Brigette. Devoted father of Colleen Moquin, Laura Vuolo, Keri Greene, Roger and Matthew. Dear brother of Maureen O'Leary and Arlene Vitale. Also survived by 12 loving grandchildren. Interment Long Island National Cemetery, Farmingdale. Maureen, per Keri Green, March 2009. Circa 1930 per 1940 census. Marriage: O'Leary per obit of her brother Roger. Mr. John C. Vitale passed away September 20, 2005 at his home in West Chester, Pa. John is the beloved husband Arlene M. (Nee Langan) Vitale. He is the loving Father of Janine S. (Mark) Farrell, John F. Vitale, and Robert T. (Nicole) Vitale. Mr. Vitale has 4 grandchildren; Maggie, Sarah, Katie, and Mark Farrell. Mr. Vitale was born in lower Manhattan before moving with his family to the Bronx. Upom graduating high school in the Bronx, he attended New York University. Mr. Vitale served his country in the United States Navy. John was a supervisor in the construction field. He worked for many concrete companies in New York City, among them were Colonial Sand & Stone Company and Ryan Ready Mix Company. Mr. Vitale also owned his own concrete testing company by the name of Fairfield Testing Company in Stamford, Connecticutt. He also owned the Hawthorne Car Wash in Hawthorne, New York. Mr. Vitale's hobbies included golf and fishing in his younger years, more recently however his children and grandchildren were his hobbies. He spent as much time with them as possible. He was a huge New York Yankees fan and actually had a tryout with them in his younger days. He enjoyed baseball and played while serving in the Navy. Interment Calvary Cemetery in West Conshohocken, Pa. In lieu of flowers an offering in Mr. Vitale's name to the American Cancer Society 1615 West Chester Pike West Chester, Pa. 19382 would be appreciated. 1917 WWI Draft Registration: Frank Jos. Langan, age 25, 208 E 44th Street, NYC, native born, born NYC, October 7, 1892, Iron worker, Mac Arthur Pile co, Long Island City, wife and 1 child, married, tall, medium build, blue eyes, brown hair. June 5, 1917. 1920 Census: Not listed under Langan. I did an address search and did not find him at 202 East 44th Street were he was listed at the time of his 1921 marriage. However, his sisters, Catherine and Veronica, were listed at that address in 1920. He was not at 208 E 44th St. which was his address in 1917. More on Lillian Zimmerman: Born circa 1895, father, Harry Zimmerman, mother, Hannah Schulman (per marriage record). Did not find Lillian in the 1920 or 1910 censuses. 1939: A "shot-live but spectacular fire" destroyed a one story summer bungalow at 107 Harding Park in the Classon Point section of the Bronx. Strong winds fanned the fire and the inside of the cottage and the roof were burnt. The unoccupied bungalow was owned by Frank Langan of 224 Newman ave the Bronx. 107 Harding Park Classon Point is in the South Bronx on the water. Death of Frank Langan: According to the Social Security Death Index, Frank Langan born October 7, 1892, died in the Bronx in December 1968 (Social Security # 065-12-2863). Civil Record: Kate Langan was born on February 6, 1895, father, Patrick Langan, born in Ireland, age 30, laborer, mother, Katie Hogan, age 27, born in NYC, 4th of four living children, address 427 East 19th Street. (1895 Manhattan certificate #7775) . Church Record: I did not find the baptismal record for Kate Langan. John Thomas Langan did not die until 1898. The four living children must have been: Matthias, Francis, John Thomas, and Katie. Kate born circa 1894 was listed in the 1910 census. There was some sort of error (perhaps clerical) at the birth of a daughter in 1897 who was listed on the birth certificate as "Catherine". That child died 10 months later under the name Penelope. 1915: See Pat Langan below. 1920 Census: 202 East 44th Street, William Thrutle head age 28, foreman Express, Catherine age 25, wife, Catherine, daughter age 7 years 1 month, Irene, daughter age 4 years and 11 months, Veronica Langan, sister age 12 years and 5 months. WWIDR: William A Thrutle 108 E 44th street New York born Jan 6, 1892, in NYC, laborer, NY State Arsenal 7th Ave and 35th Street wife and children, tall medium build, blue eyes and light hair. WWIIDR: William A Thrutle 888 3rd Ave NYC age 50, born NYC, Jan 6, 1892 Mrs William Thrutle same address, International Brotherhood of Teamsters, West 34th Street. Veronica Langan gave 202 East 44th Street as her address at her marriage in 1926. See below. I did a thorough search for the birth record and did not find it. Note: I know that child # 5 was born to Pat and Kate because at the birth of Kate in 1895 she was listed as the 4th of 4 living children and at the birth of "Catherine/Penelope" Langan in 1897, she was listed as the sixth of five living children. Church Record: I did not find the baptismal record. Note: The five living children includes this "Catherine", Matthias, John Thomas (who died in 1898), Francis, and Kate born in 1895 and listed in the 1910 census. Death: "Penolope" Langan, an infant of 10 months and 26 days born in NYC, died on December 7, 1897 at 11 o'clock of Broncleo Pneumonia and Marasma. She was ill from November 26, 1897, parents, Patrick Langan born in Ireland and Catherine Langan born in Massachusetts. Penelope died at 402, E. 54th Street. The Langan residence was listed at 427 E. 19th Street (Manhattan 1897 Death Certificate #36654). Catherine and Penelope must have been the same child. Since there was already a Kate alive when child was born I am assuming that the name "Catherine" listed on the birth record was some sort of clerical error. Marasmus is a wasting disease caused by malnutrition. Civil Record: Patrick Langan, the son of Patrick Langan, born in Ireland, age 35, doorman, and Kate Hogan, age 32, was born on March 2, 1899, 445 E 52nd Street, seventh child of the marriage, four children still living (1899 Manhattan certificate #10059). John Thomas died in December of 1895. The third child must have been Unknown born between 1895 and 1897. Death: Patrick Langan, age 1 year, 3 months, and 23 days, born in New York city, father, Patrick Langan, born in Ireland, mother, Catherine Langan, born in USA, address 445 East 52 Street, tenement, died on June 26, 1900 about 2 A.M. He had been seen by a doctor from June 20, 1900, cause of death, Gastro Enteritis. Patrick was buried in Holy Cross Cemetery (Certificate # 20605). Civil Record: Edward Langan was born October 16, 1901, 208 E 44th Street, father, Patrick Langan, born in Ireland, age 36, labourer, mother, Kathie Hogan, born in Mass., age 33, 8th child, 4 still living. Note: The four still living were: Matthias, Frank, Kate and Edward. Children: Edward circa 1934 per 1940 census. 1930 Census: With his sister Catherine Thurtle. Langan, Edward, lodger, age 29 "M" [married] age at first marriage 26, laborer building. Where is Mary Duffy Langan? Margaret - based on 1905 state census. 9th child based on the birth of Robert, "Baby Boy" Langan in 1906 when he was listed as the 10th child, 5 living. Civil Record: "Baby Boy" Langan was born on February 19, 1906 at 208 E 44th Street, father, Pat Langan, born in Ireland, age 41, labourer, mother, Catherine nee Hogan, born in Mass., age 39, 10th child, five still living (Certificate #09864). 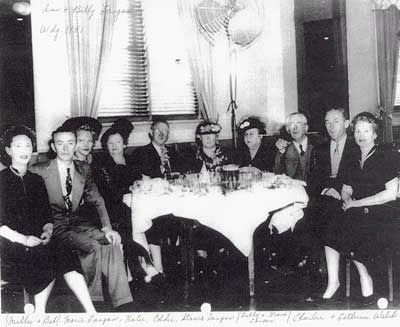 Marriage 1929: Robert Langan 163 E 44th Street, age 23, lather, born NYC, father Patrick, mother, Catherine, Hogan, married Mildred Weber of 35 Academy Street Queens, age 19, born NYC, father, Gustav, mother Mary Fotch. First marriage for both. June 29, 1929, 141 E 43rd Street, St Agnes. Witnesses: Harry Hollister and Helen Dempsey. Death of Robert Langan: 1958, January - Died at home after a long illness 41-07 47th ave, Sunnyside. He had been a metal lather for a Manhattan firm for 26 years. He was survived by his wife, Mildred Weber, two brothers, Edward and Francis, and a sister Mrs. Martin E Lacey. Funeral St. Raphael's RC Church Long Island city, burial Calvary. Birth: Veronica (?) circa 1908 according to the 1910 and 1920 censuses and her marriage in 1920.
Who was Mrs. Martin Lacey the surviving sister of Robert Langan when he died in 1958? Pat Langan and Catherine Hogan had 13 children according to the 1910 census when the questions were posed: "Mother of how many children" and "Number now living". Catherine replied 13 to the first question and 6 to the second. A child born between 1901 and 1906. Died before 1906. Based on the birth record of Robert in 1906. Child number 12, dates after 1906 before 1910, based on the 1910 census. Child number 13, dates after 1906 before 1910, based on the 1910 census. Births were not always recorded with the city, especially if the child was born at home (as many were in the period of time in question). Death were required to be reported to the city. However, the death records as microfilmed by the NYC Archives are in VERY bad shape. I made a stab at looking for the deaths of these children of Pat Langan and Catherine Hogan but on too many of the records I could not read the names of the parents. The records are faded to the point of being illegible. In the end, it may be enough to acknowledge the lose of these children and the pain it must have caused. Since most of the burials I did find were at Holy Cross Cemetery. It may be possible to write to them and get more information. For my purposes it is not worth the expense. Maria Lahiff Pedulla, the daughter of Agnes Walsh Lahiff, made some notes on information that she got from her mother. Agnes listed four children for Pat Langan. The four children were: Katie, Robert, Monica*, and Ed. The widowed, Pat Langan, married the widowed, Anne (Anastasia) Deveraux, in 1919. Anastasia was the widow of Pat's brother James. I did not find them. They should have been at either 445 E 52nd Street (where they were listed in June) or at 208 E 44th street (where they were listed in October). 445 E 52 Street is in Ward 19 — North by 86th St. East by Eat River. South by 40th St. West by 6th Ave.
Not listed Ancestry.com as of May 2016. 208 East 44th Street, Langan, Patrick J., head age 41 in US 23 years cit, helper, mason, born Ireland, Catherine, age 39 born US, Matthias, son 17 helper wire lather, Frank J son 12, Catherine A age 11, Edward age 3 Margaret age 1. Patrick Langan was married in Massachusetts in 1887. John Joseph Shiers was a witness to the 1919 second marriage of Patrick Langan. Catherine Langan, 208 E 44th Street, tenement, married, born May 6, 1870, age, 42 years, 7 months, and - days, housework, born USA, how long in NYC, 25 years, father, Pat Hogan, born Ireland, mother, Ellen Hackett, born Ireland, died December 6, 1912, attended by physician from December 1, 1912 to December 6, 1912, last seen by physician, December 5, 1912, 9AM, cause of death Lobar (?) pneumonia, contributing condition, chronic asthemia (? ), buried Calvary Cemetery December 9, 1912, cert #34278, 1912. 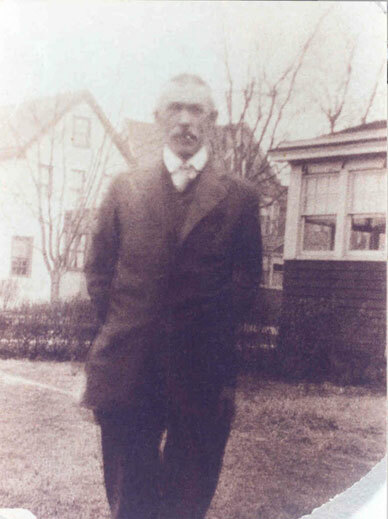 Patrick Langan, the widower of Catherine Hogan, and Anastacia Devereaux Langan, the widow of Pat's brother, James Langan, married on June 6, 1919. Patrick Langan of 227 E. 74th Street, New York City, age 54, white, widowed, laborer, born in Mayo Ireland, the son of Mathias Langan and Penelope Byrne married Anastacia Langan of 200 E. 78th Street, New York City, age 43, white, widow, maiden name, A. Devereaux, born Kilkenny, Ireland, the daughter of Michael Devereaux and Bridget McCormick. The witnesses were John Joseph Shiers and Mrs. Mary Devereaux. The marriage was performed by Bernhard H. Gohlemann, Catholic Priest, 980 Park Avenue, New York City. This is the address of St Francis Xavier Catholic Church. Anastasia had children by her first marriage to Pat's brother, James. They were Elizabeth AKA Lillian (1903), Thomas (1905), Agnes (1907), James (1909), Helen (1911), John (1915). Ann Patricia Langan born November, 1920. Teresa circa 1922 per 1925 census. Not listed with them in the 1930 census. William D. (Billy), 1924. Billy Langan married Ann Cronin in 1951 (Information from Jeff Casper) . In March 2013 Billy Langan send and image of "Uncle Gordy", (Gordan) tending his parents grave. The gravestone indicates that William D Langan was born June 12, 1924 and died August 1-, 1993, Ann M. was born in 1929 and died October 26, 1998. Why was Agnes not listed? John was the son of James Langan and Anastasia Deveroux. Ann and William were the children of the union of Pat Langan and Anastasia Devereoux. A circle with and X in the middle after Anastatia's name indicates that she provided the information. Patrick Langan 684 Union Avenue Bronx, married, wife, Anastasia Langan, born March 11, 1865, age 75 years 6 months and 13 days, in US 15 years, retired bridge tender, dept Plant and ________ New York City, father, Mathias Langan born Ireland, mother, Penelope "Burns" born Ireland, died September 24, 1941 8:05 PM, at Lincoln Hospital, after 2 days stay, of cerebral thrombosis artereoscleroses, informant, Anastasia Langan, buried Calvary September 27, 1941. Anastasia Langan, the wife of both James and Pat Langan, was buried October 19, 1965 in the grave that contained her first husband, James Langan, her mother-in-law, Nappy Bryne Langan, her brother-in-law, Martin Langan, and several of her infant children. 427 E 19th Street Manhattan from at least February 1895 to at least December 1897. There are high rises there now. 445 E 52nd Street Manhattan from at least December 1898 to at least June 1900. 208 East 44th Manhattan Street from at least October 1900 to at least summer 1917. The only address that looks to have the same type of buildings that were there in Pat Langan's time is the Bronx address. Jeff Casper a descendant of Pat Langan and Anastasia Deveroux Langan Langan told me that some of the sons and grandsons of Pat Langan were "wire lathers" and were involved with the lathers union. The Metallic Lather Union's web site at Metallic Lathers and Reinforcing Ironworkers and the New York Times make several references to Langans in Local 46. Mathias born 1887, son of Pat, was listed as a lather in the 1910 census, at his marriage in 1915 and at his death in 1928. Robert born 1906, son of Pat, per marriage 1929, and death 1958. Thomas Langan born 1905, son of James, was a lather per 1927 marriage, 1930 and 1940 census. James Langan born 1909, son of James, may have been a lather. His son James W born 1930 was per his obit. His son Thomas T born 1932 was per his obit. Gary Langan wrote in April 2009 that his grandfather, Frank Langan (the Senator, a lather nickname), his father, Walter Langan, and his uncle, Roger Langan were all members of Local 46. He believes that his great uncles, Eddie and Billy, were also card members. His cousin, Matt, is a current card member. Other family members worked "under permit". That is, they worked as lathers but were not union members. Metal lathing is used both for fire proofing and decorative purposes. For fireproofing steel columns are wrapped in metal lathing and then covered with plaster or stucco. The metal lath is made up of a sheet of metal containing many small holes. Sometimes a furring system is applied and another layer of metal lathing and plaster is added. Furring is a light frame work which uses metal (or wood) strips to support the finished surface. Metal lath work can also be used to form arches and other shapes. By 1908 interior architectural forms in fire proof buildings were almost exclusively constructed using metal lath. Metal Lathers have historically performed a variety of duties on the job. In the initial stages of a project they are responsible for establishing a plan and laying out the job. Next, they cut the framing material and apply the metal lath. In the final stage they create openings for air ducts, electrical outlets, and heating and ventilating pipes. Sometimes they create suspended ceiling frames to support the installation of acoustic tile. Other lathers specialize in applying stucco and plaster to walls and ceilings in remodeling projects. Metal Lathers were exposed to asbestos which was used as insulation and fire retardent in buildings and as a component in asbestos stucco (made up of cement, sand and asbestos fibers). A jurisdictional agreement in 1903 listed the following terms relating to metal lathers. First. The term "fireproof construction" shall apply to concrete slabs, arches, and other bodies of concrete supported by or reenforced with rods of mesh, and used in connection with structural steel. This includes also arches supported by corrugated or other sheet metal. Second. The term "reenforced concrete construction" shall apply to bodies of concrete of any kind used for sustaining loads, where the concrete structure wholly or in part replaces structural steel. Third. On the laying and setting of light iron or steel or mesh used in fireproof construction, also on the cutting and bending of all light iron or steel, metal and wire lath or mesh or sheets for floor, arches, and the making of hangers, clips, and stirrups, whether made on the job or elsewhere. On each job of fireproof construction there shall be a foreman who shall have charge of the metallic lathers and laborers on fireproof concrete, who shall be a member of the Metallic Lathers' Union in good standing, and who shall work with his tools when requested to do so when no concreting is going on. Fourth. On the fabricating and assembling of all columns, beams, and girders, of metal or wire lath, light iron or steel, on the cutting, bending, and setting of all light iron and steel, and of metal and wire lath or mesh used in construction of reenforced concrete, including hangers, clips, and stirrups whether made on the job or elsewhere, excepting the making and assembling of such work as is made in the shop by heating processes that can not be fabricated on the job. 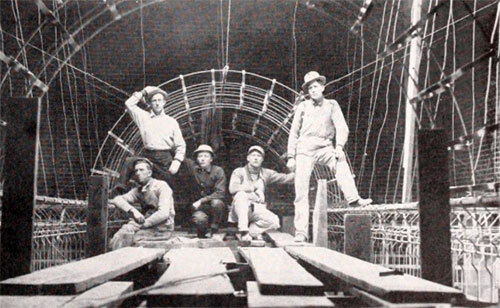 When skeleton frames of reenforced steel, iron, or metal lath, or wire lath or mesh, are made and assembled in the shop by heating processes that can not be fabricated on the job, the same shall be handled after arrival at the site of the job solely by members of the party of the second part. On each job of reenforced concrete there shall be a foreman, who shall have charge of the metallic lathers and over the reenforced concrete, who shall be a member of the Metallic Lathers' Union in good standing, and who shall work with his tools when requested to do so when no concreting is going on. The agreement between the Employing Metallic Furring and Lathing Association of New York and the Metallic Lathers' Union provides for the fabrication, assembling, and erection of all iron and steel furring and framing. This includes all furring in connection with metal lath and plaster ceilings, bracket work for ornamental effects, partition work and wall furring; also the applying and placing of wire lath, sheet, metal lath, and paper lath and plaster boards, corner beads, and metal grounds, and the fabricating of hangers, clips, and stirrups, whether made on the job or elsewhere, for the above specified work; this includes also the supports for arches of corrugated or other sheet metal. Mildred (wife of Robert (Bob) Langan), Bob, ( Pat's son born 1906), Mame ( ( ??? ), Katie (Pat's daughter?? ), Eddie (Pat's son born 1901), Stasia (Deveroux Langan Langan, widow of James and widow of Pat) Lilly Zimmerman Langan and her husband Frank (son of Pat born 1892) Charles Walsh (son of Joseph Walsh and Maggie Langan, sister of Pat and James Langan) and his wife Catherine Foley.